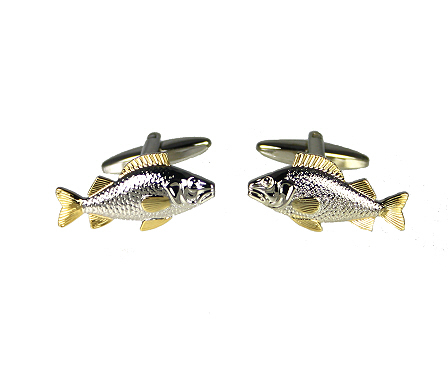 Rhodium and gold plate fish cufflinks with fine detail. A fishy tale or two here and definitely catch of the day! Fishing Fly Tie Maroon - Sports Ties. A variety of colourful fishing flies on a plain maroon neck tie. Available in three colours.